In the wake of the U.N.'s release of the Sustainable Development Goals, a debate is now raging among stakeholders about whether or not the goals are realistic and financially feasible. Some notable economists have gone on record to say the goals are near impossible to achieve. Supporter say that lofty goals are what is needed to lead society toward a livable future. Even within the supporters camp opinions differ on how best to achieve the ambitious goals. Given the complexity of issues like climate change, poverty, health, resource scarcity, and the global economy it is no wonder people are doubtful that achieving progress is possible. In spite of opposition and seemingly insurmountable odds many well meaning government leaders, NGO's, International Development Funds and forward thinking multinational corporations are now coordinating their efforts for strategic action. While the parties agree that high level policy initiatives, including the U.N. Development Goals, are an essential step in guiding the world toward a sustainable future, a growing number of industry leaders are stressing that market solutions are the key to effecting significant and lasting change. 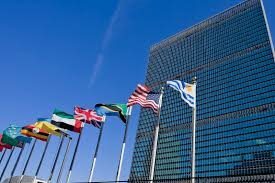 They argue that the broad and systemic changes required to achieve the U.N. goals must come from businesses addressing market needs if for no other reason than simple economics. If international policy is the top-down approach, then market solutions can be thought of as the bottom-up approach. The policy makers and NGO’s seem to agree that market solutions are going to be important and have stepped up efforts to coordinate with large multinational corporations and large fund managers who are motivated by the business opportunities related to the policy changes. Some industry leaders say the market is ripe for innovative solutions that create profits while delivering the social, economic and environmental benefits outlined in the U.N.'s Sustainable Development Goals. Indeed, market indicators confirm that the combined momentum of several mega consumer trends have created a slow but unstoppable shift in the collective consciousness. Consumers are now demanding products and services that contribute to global sustainability. The stakes are high as companies large and small are now seeing the global shift toward sustainability as perhaps one of the greatest business opportunities of all time. “As always, consumer expectations will drive the changing landscape and that means future growth for most industries will certainly be related to sustainable products and services that make living a sustainable lifestyle easier for the consumer”. One such company is NextGenUrban, a developer of master planned communities pioneering a new class of real estate assets they call "Sustainable Lifestyle Communities" By combining proprietary cleantech infrastructure with their real estate development projects, they are capable off building sustainable, zero waste, carbon neutral neighborhood that provide hassle-free sustainable lifestyles for all residents. 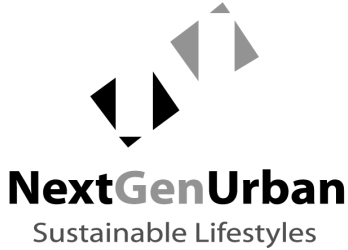 Their new approach to infrastructure enables NextGenUrban to internally produce and deliver all required utilities and services by recycling all waste sewage and trash and using only the renewable resources on site. The end result is a self-contained neighborhood that liberates residents from the global supply chain for their most critical resources of water, energy, food, fuel and digital connectivity. The innovative approach produces positive impacts on the physical, social, economic and environmental levels.